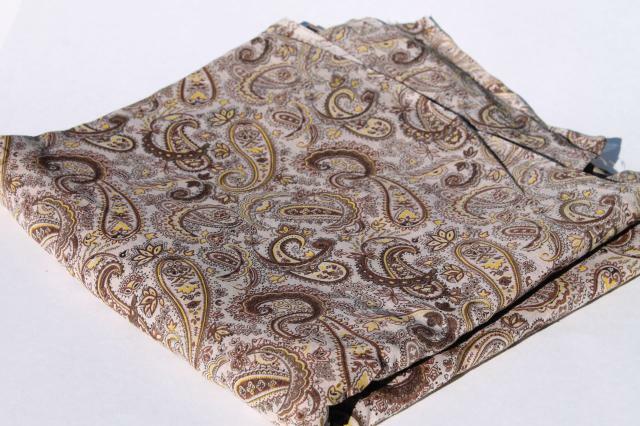 70s vintage print cotton fabric, fine and light, almost sheer, with paisley in brown and gold. 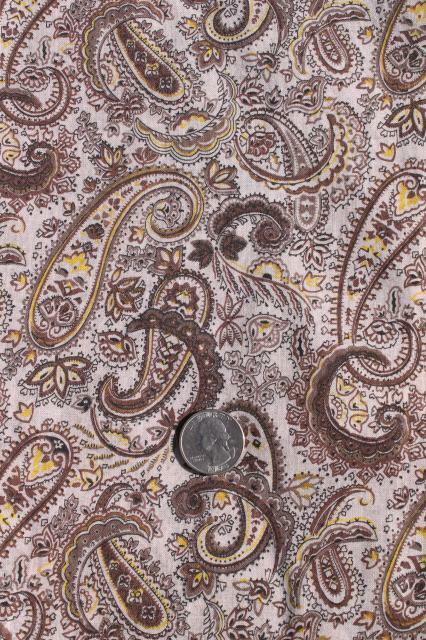 This is 44" wide x 5 yards total, although there's a join at the 2-3 yard point. 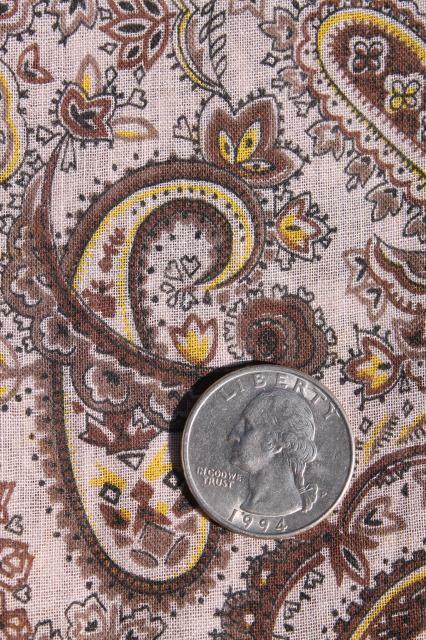 It's in excellent condition, very pretty!